The Gulf of Maine in the Northeast region of the United States is a specific area that is experiencing changes. 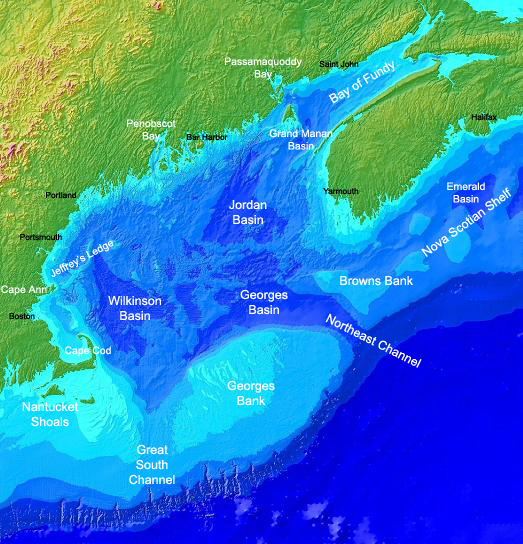 The Gulf of Maine extends from Cape Cod in Massachusetts to the southern tip of Nova Scotia and includes the Bay of Fundy, the offshore fishing banks, and the entire coast of Maine (Woodard, 2015). Some of the main threats targeting this region are changes to fisheries, increased ocean temperatures, and ocean acidification (USGCRP, 2014). 1.3 million Mainers will be affected by the loss of lobster as it moves north into Canadian waters (USGCRP, 2014). Marine species have shifted their geographic ranges, seasonal activities, migration patterns, and species interactions in response to climate change. Throughout the entire United States, there are more than 160 million people living in the coastal counties who are at risk, and 1.3 million Mainers will be affected by the loss of lobster as it moves north into Canadian water (USGCRP, 2014). Map of the Gulf of Maine displaying coastal Maine, the Bay of Fundy and the offshore fishing banks. 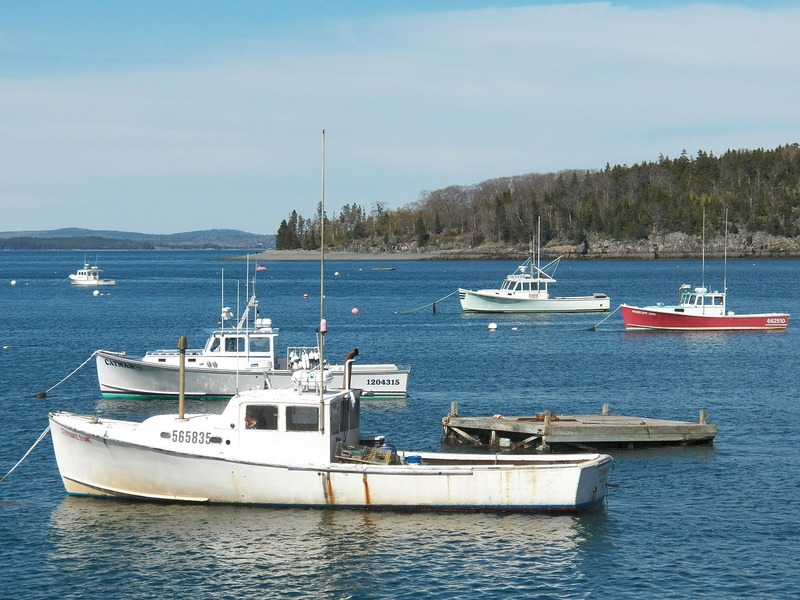 Maine’s fisheries have driven the economy for generations. The Atlantic Cod was the first species to take over the fishing market in the Gulf of Maine. Maine shrimp and mackerel have also proved to be stable catches but were overshadowed when lobster took over the water off the coast of Maine in 1996 (Gulf of Maine Research Institute, 2012). 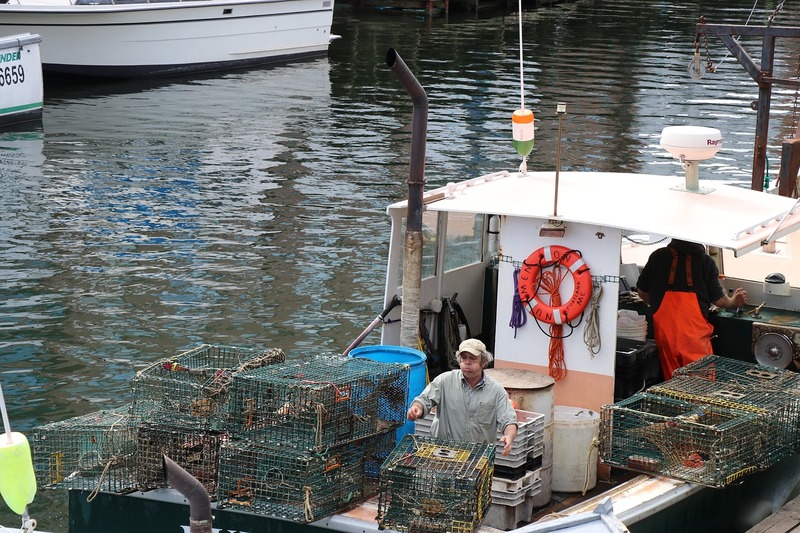 Maine’s lobster landings are an integral part of the economy and have an economic impact of approximately $1.5 billion each year (Collins, 2018). The lobster industry provides families with a tradition through fishing, processing, shipping, and owning small businesses. The lobster is the symbol of Maine and holds an international reputation that brings millions of tourists every year (Collins, 2018). 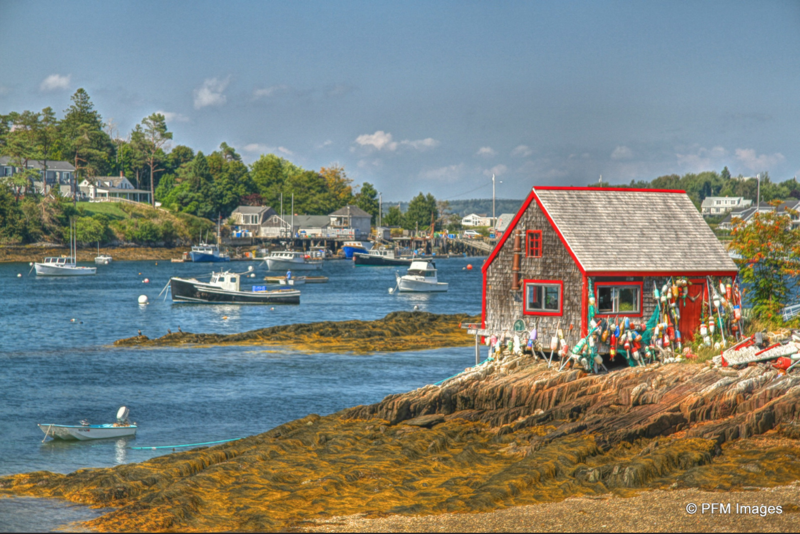 Without the lobster, Maine’s economy and culture will be jeopardized. 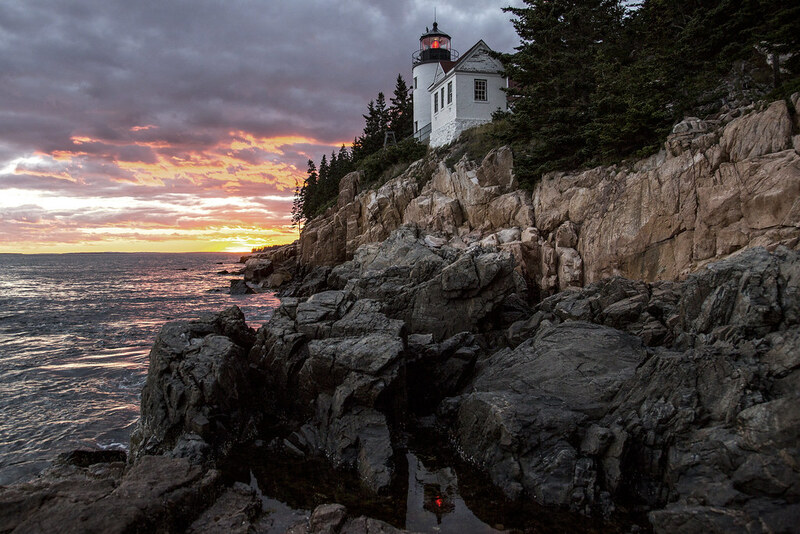 Lobster drives the coastal economy and culture in Maine. The factor that is pushing lobsters north hasn’t gone away; warming ocean temperatures. Lobsters have shifted northward into colder water in the last 40 years because lobsters can remain happy and healthy in waters up to 68 degrees Fahrenheit, but after that they hit a stress threshold and start moving to find colder water where they can survive (Greenhalgh, 2016). As a result, we are seeing a stark increase in lobster populations further out in deeper waters in the Gulf of Maine (Greenhalgh, 2016). The water in the Gulf of Maine has been warming drastically which also means that the lobsters are already starting to move north towards Canada, Newfoundland, and the Gulf of St. Lawrence. Lobster distribution could shift 200 miles north, which would put the lobsters into Canadian waters where the Maine lobstermen would not be able to reach them and there could be international water law disputes (Miller, 2018). Sea surface temperatures are rapidly warming. Ocean acidification is harming the growth of lobsters in the Gulf of Maine. Ocean acidification is harmful because shellfish are one of the most important food resources in coastal communities. Declines in pH are making it difficult for shellfish to grow their shells due to the lack of calcium carbonate (Armstrong, Krasny, Schuldt, 2018). The year 2012 in the Gulf of Maine was a glimpse of what could be the new “normal” by 2050 (Miller, 2018). Maine lobsterman were pulling up their traps with mountains of soft-shell lobsters and had nowhere to send them because the shells were too thin (Woodard, 2015). Lobstermen thought that this was due to increased acidification since the lobsters weren’t able to grow their shells until maturity, meaning that only soft-shelled lobsters were inside the traps (Woodard, 2015). Many fear that this issue will continue in the future. A lobster with paramoebiasis caught in the waters of Maine. Disease is more common in lobsters when the ocean water temperature rises, which is currently the problem in the Gulf of Maine. 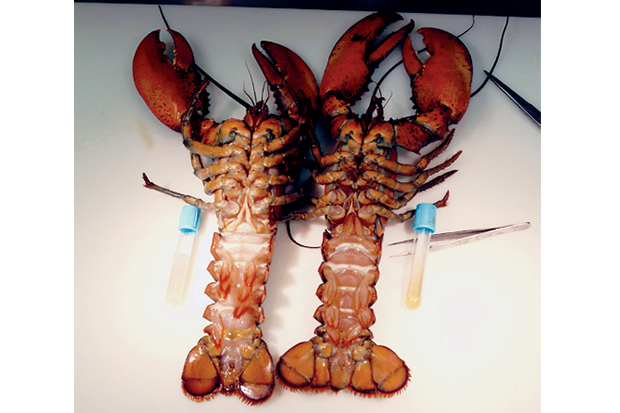 Lobsters are already starting to catch a new disease called paramoebiasis, a parasite that invades the nervous tissue and causes death of the lobster (Greenhalgh, 2016). Lobsters typically start to catch this disease after long stretches of above-average temperatures. Even though lobsters are not the only specie in the Gulf of Maine that is affected by climate change, the thought of lobsters moving further north into colder water and catching new diseases is definitely frightening for those who depend on this crustacean as their source of income. The main source of food for lobsters are marine plants, fish, decapods, clams and mussels. Fish species are projected to move north, ultimately pulling lobsters north into colder waters with them to maintain their food supply (Woodard, 2015). Maine was founded on cod fishing, but the Atlantic cod habitat could ultimately decrease by as much as 90% by the end of the century (Woodard, 2015). Clams and mussels will be affected by the green crabs that are thriving in the Gulf of Maine’s warm water (Miller, 2018). Green crabs create a problem because they tear away at the shoreline (Woodard, 2015). As fish species move north, mussels and clams get eaten by green crabs or cannot build their shells, and marine plants cannot grow without salty water, lobsters will be put at an even greater risk and will be forced to find a new food supply. 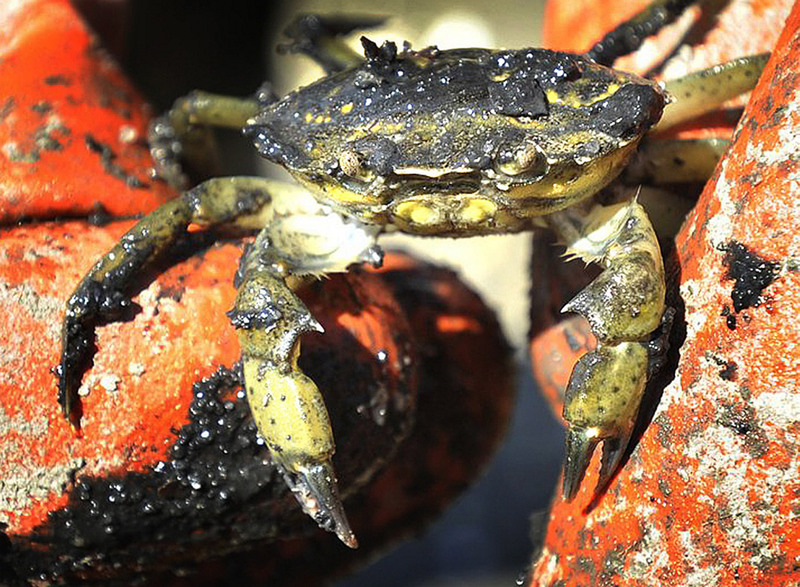 Green crabs thrive in warm water, leading to a problem in Maine as they tear away at the shoreline. The lobster industry used to be booming off the coast of Connecticut and Long Island Sound but between 1996 and 2014, the lobster landings in New York dropped 97.7% (Miller, 2018). While registered lobster landings fell drastically in New York and Connecticut, Maine’s landings surged 219% to over 124 million pounds of lobster (Greenhalgh, 2016). When the lobsters that used to reside off the coast of New York and Connecticut moved north into Maine, former lobstermen in this area had to turn to clam and oyster farming (Greenhalgh, 2016). They also started to farm seaweed as a second crop to make up for lost revenue. Although this could be a potential option for the Gulf of Maine, it is hard to picture Maine without lobster. Since the surge in lobster landings in the Gulf of Maine, Maine’s food supply and most prominent source of revenue has been lobster. New England’s lobster industry was worth $564 million in 2014 with Maine alone reporting $459.6 million, which is 81% of the total (Greenhalgh, 2016). The arrival of lobsters in Maine was a blessing for the culture and economy, but rising ocean temperatures are driving these lobsters even further north. Maine’s economy is already feeling the affects of climate change. There are not as many lobster tours during the summer months, lobstermen are working longer hours because their traps are further out at sea, and there has not been as much revenue from catching lobsters for food because many of them have to be put back (Gulf of Maine Research Institute, 2012). The movement of lobster northward into Canadian waters is putting stress on the economy and culture. Maine lobstermen are having to adapt due to rising ocean surface temperatures, longer lobster seasons and falling groundfish stocks. If lobster move north, Mainers are going to have to shift to another source of catch as their income. This is proving to be more difficult than expected considering fish are having to move poleward to find colder water (Abel, 2018). Cod or Maine shrimp: abundant species on the coast of Maine but these species are also declining with rising ocean temperatures (Miller, 2018). 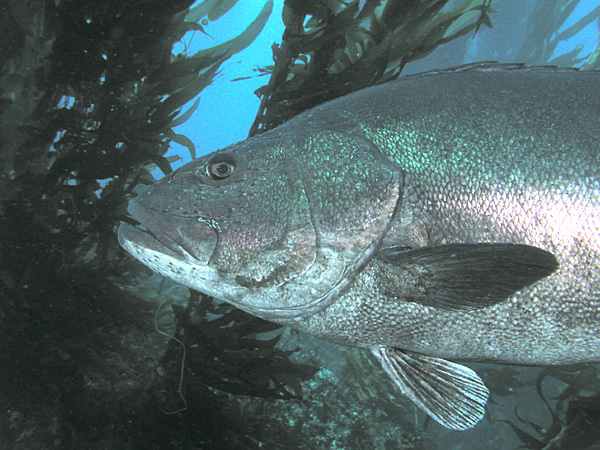 Black sea bass have been showing up in parts of the Gulf of Maine where they have not been seen before. Lobster boats located in a harbor on the coast of Maine. In order to keep the local tradition of lobstering and pass the skill down to further generations, those who have been lobstering need to keep educating others even if lobster continue to move north into colder water. With lobster populations moving north, it is hard to find an adaptation plan that will help the Gulf of Maine keep its identity and strong economy. Lobstermen can only adapt so much to this drastic change due to warming ocean temperatures. The main factor that will help prevent the loss of these important species is reducing greenhouse gas emissions. If we are able to reduce emissions, then lobsters could remain in the waters of the Gulf of Maine, but many think that the water temperatures have reached a threshold and we are already at the point of no return (Miller, 2018). 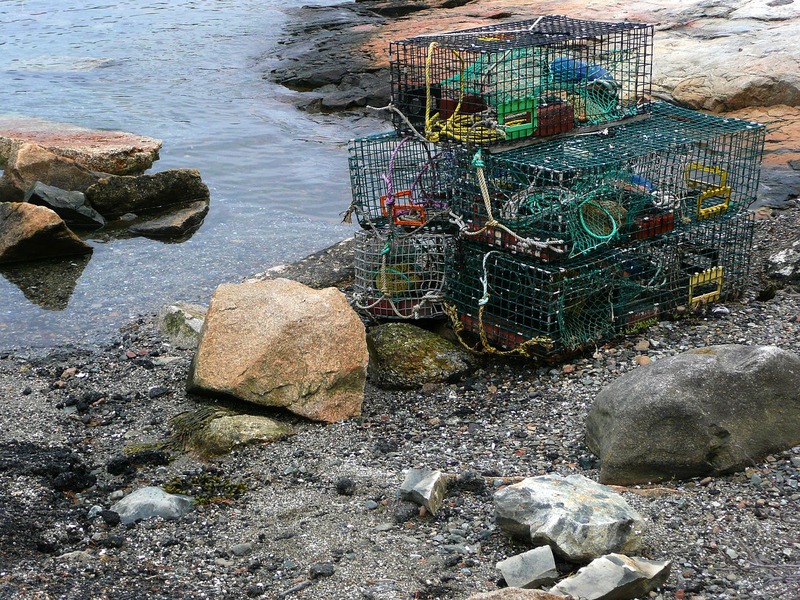 Lobster traps could be empty if they continue to move north. Grace Robinson graduated in 2020 and was an Environmental Studies and Business in the Liberal Arts double major during her time at St. Lawrence University. She is from the coast of Maine and was interested in researching the impact of climate change on lobsters. Grace created this webpage for Dr. Jon Rosales' "Adapting to Climate Change" course during the Spring 2019 semester at St. Lawrence. Abel, David. “Fish Wars Loom as Climate Change Pushes Lobster, Cod, and Other Species North.” Boston Globe, 21 June 2018, www.bostonglobe.com/metro/2018/06/21/fish-wars-loom-climate-change-pushes-lobster-cod-and-other-species-north/4uCFNQKDz3dipGaZSD7WVP/story.html. Armstrong, Anne, et al. “Climate Change Science: The Facts.” Communicating Climate Change Science, 2018, pp. 7–20. Cornell University Press. Cairn, North. “Message to Maine Fishermen: Adapt to Climate Change.” Press Herald, 1 Aug. 2013, www.pressherald.com/2013/08/01/fishermen-told-adapt-as-climate-is-changing_2013-08-01/. Doney, Scott, and Andrew Rosenberg. 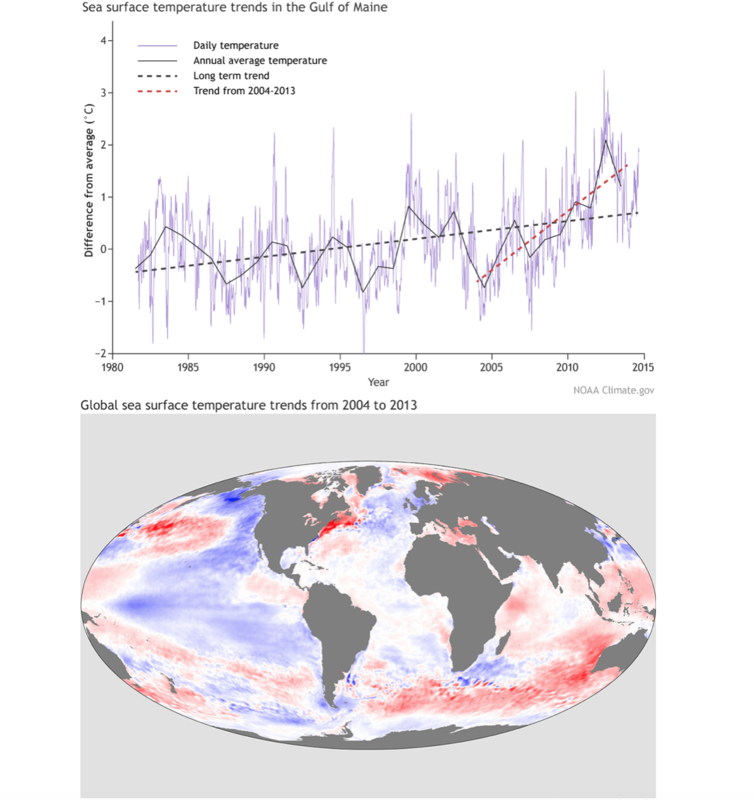 “Oceans and Marine Resources.” National Climate Assessment, 2014, nca2014.globalchange.gov/report/regions/oceans. Greenhalgh, Emily. “Climate and Lobsters.” NOAA Climate, NOAA, 6 Oct. 2016, www.climate.gov/news-features/climate-and/climate-lobsters. Horton, Radley, and Gary Yohe. “Northeast.” National Climate Assessment, 2014, nca2014.globalchange.gov/report/regions/northeast. “Lobstering History.” Gulf of Maine Research Institute, 24 Feb. 2012, www.gma.org/lobsters/allaboutlobsters/lobsterhistory.html. Miller, Kevin. “Climate Change to Have Drastic Effects on Gulf of Maine Lobster and Clam Fisheries, Studies Say.” Press Herald, 23 May 2018, www.pressherald.com/2018/05/23/climate-change-to-have-drastic-effects-on-gulf-of-maine-lobster-and-clam-fisheries-studies-say/. Portner, Hans, and David Karl. “Ocean Systems.” Climate Change 2014: Impacts, Adaptation, and Vulnerability, 2014. Cambridge University Press. Salisbury, Joseph E, and Bror F Jonsson. “Rapid Warming and Salinity Changes in the Gulf of Maine Alter Surface Ocean Carbonate Parameters and Hide Ocean Acidification.” Biogeochemistry, vol. 141, no. 3, pp. 401–418. “Senator Susan Collins.” Fighting for Maine's Lobster Industry | Senator Susan Collins, www.collins.senate.gov/newsroom/fighting-maine’s-lobster-industry. Woodard, Colin. “Big Changes Are Occurring in One of the Fastest-Warming Sports on Earth.” Press Herald, 25 Oct. 2015, www.pressherald.com/2015/10/25/climate-change-imperils-gulf-maine-people-plants-species-rely/?rel=related.